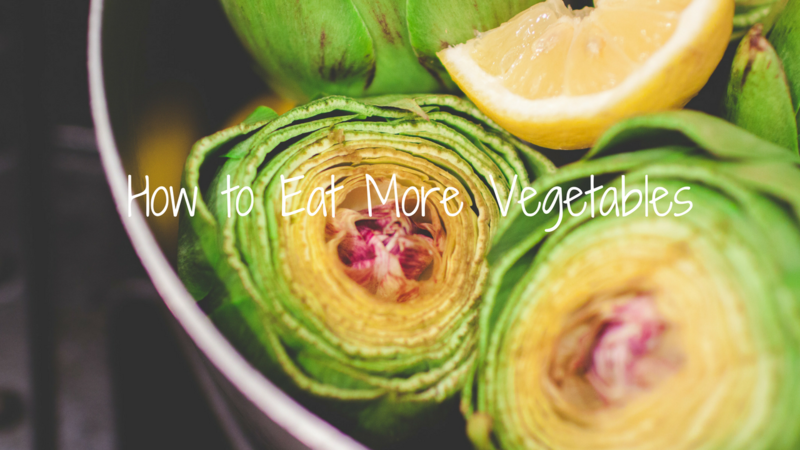 We all know we should eat our vegetables, because they are good for us! It sounds so easy, but why is it such a struggle to get them in? Maybe your kids (and spouse) are picky eaters, it’s a texture thing, or you just aren’t sure how to add more veggies to your diet. Here are some easy ways to make vegetables front and center on your plate! Substitute your dinner roll for a baked sweet potato (You don't have to have a grain at all of your meals). Instead of pasta use spaghetti squash or zucchini noodles, I love this zoodler because it's small and compact. Try cauliflower rice instead of regular rice! It can easily be found in the frozen veggie section or sometimes by the bagged salad in the produce section! Skip the mayo on your next sandwich and use creamy avocado as a spread! Sub out your flour tortilla for a raw collard green leaf or romaine lettuce wrap. On meal prep day chop up a bunch of raw veggies like onions, carrots, cucumbers, bell peppers, and use them throughout week to cook with, through on top of salads and snack on raw. Think of it as a fresh veggie tray in your fridge every week! Dip cucumbers, celery, bell peppers, and carrot sticks in your favorite hummus, guacamole or salsa. No chips needed! Keep washed, chopped veggies at eye level in the fridge in a clear container so everyone sees them often and they don't go to waste! Next time you make spaghetti, mix pureed carrots into the sauce. With the strong taste of the tomato sauce, the kids will never know! Add pureed cauliflower to mac and cheese to thicken the cheese. To take it up a notch, use spaghetti squash instead of noodles and add small broccoli chunks. Tons of veggies! Meat Loaf is a great meal to hide any veggie you have on hand. Finely dice or grate onions, spinach, and zucchini into your next meat loaf. It’ll be our little secret! Having a burger? Load it up with tomatoes, lettuce, grilled mushrooms and onions. Have it without the bun, in a lettuce wrap, or chopped over bed of lettuce! Make an omelet or scrambled eggs with onions, spinach, or tomatoes. Increasing your veggie intake can be fun for the family! Next time you’re at the grocery store, let your kids choose a vegetable of the week. If they choose a veggie you’re not familiar with, take the opportunity to learn about it together! Moms, don't forget to join our Mommy Feeding Family Facebook group!